Adding lemon water not only quenches thirst better than any other beverage, but it also nourishes our body with vitamins, minerals and trace elements which we absolutely need. Lemon with water can be considered the best natural energy booster. When we wake up in the morning, our bodily tissues are dehydrated and are in need of water to push out toxins and rejuvenate the cells. 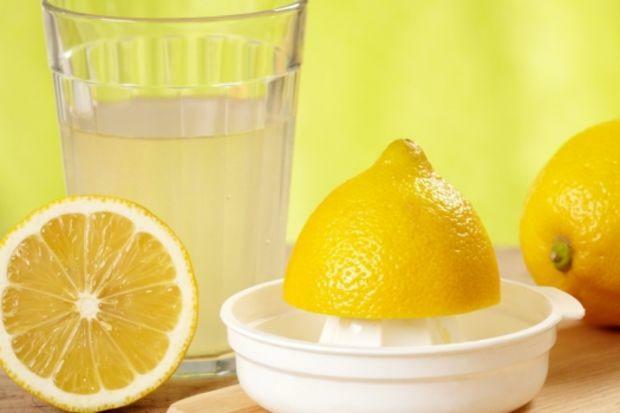 In other words, this homemade “lemonade” helps eliminate internal toxins, regulating proper kidney and digestive tract functions by forcing them to work as smoothly as possible. Much of the evidence supporting lemon water’s health benefits is anecdotal. Little scientific research has been done specifically on lemon waters impact on health as a whole, but some research exists on the benefits of lemon and water separately. According to the Food and Nutrition Board, the dietary reference intake for water is 91 to 125 ounces. This includes water from food and drinks. Water is the best beverage for hydration, but some people don’t like the taste of it on its own. Adding lemon enhances water’s flavor, which may help you drink more. Citrus fruits like lemons are high in vitamin C, which is a primary antioxidant that helps protect cells from damaging free radicals. Vitamin C may reduce your risk of cardiovascular disease and stroke, and lower blood pressure. While lemons don’t top the list of citrus fruits high in vitamin C, they’re still a good source. According to the United States Department of Agriculture, 1/4 cup raw lemon juice provides about 23.6 grams of vitamin C. That’s over 30 percent of the recommended daily allowance. Vitamin C found in lemons may help reduce skin wrinkling. A study published in the American Society for Clinical Nutrition concluded that people who cons u m e d more vitamin C have less risk of wrinkled and dry skin. The citric acid in lemons may help prevent calcium kidney stones. UW Health recommends increasing citric acid intake to decrease your risk of getting new calcium stones. Drinking lemon water not only helps you get more citric acid, but also the water you need to prevent stones. Having 1/2 cup of lemon juice provides the same amount of citric acid you’d find in prescription varieties. 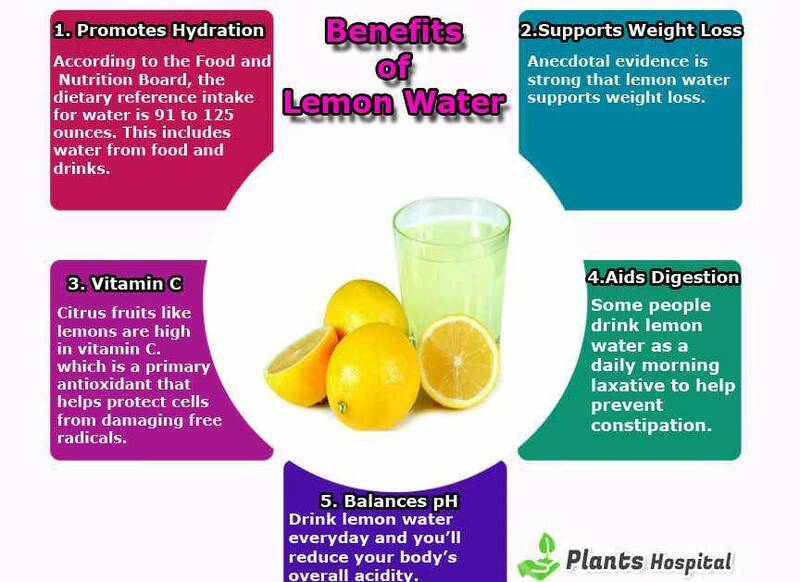 Drink lemon water everyday and you’ll reduce your body’s overall acidity. Lemon is one of the most alkaline foods around. Yes, lemon has citric acid but it does not create acidity in the body once metabolized. 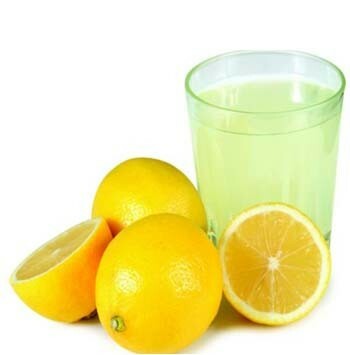 Warm lemon water helps get rid of chest infections and halt those pesky coughs. It’s thought to be helpful to people with asthma and allergies too. After I have a glass of hot lemon water, I actually don’t crave coffee in the morning. This is weird, I can’t explain it, but I’ll take it. When making lemon water, always use fresh lemons and not artificial lemon from a bottle. To make lemon water, squeeze half a lemon into 8 ounces of boiling, warm, or cold water. To make the drink as healthy as possible, use filtered water and organic lemons. Having lemon ice cubes on hand is a great way to add lemon to your water fast. Simply squeeze fresh lemon juice into ice cube trays and freeze. Drop a few cubes into a glass of cold or hot water as needed. Drinking lemon water can diminish tooth enamel.